We offer security products that help you meet your policy, regulatory, and business objectives. The rich set of controls and capabilities we offer is always expanding. Rely on a secure-by-design infrastructure with hardening, configuration management, and patch and vulnerability management. Help secure the network with products that define and enforce your perimeter, and allow for network segmentation, remote access, and DoS defense. Help secure endpoints and prevent compromise with device hardening, device management, patch and vulnerability management. Make sensitive data more secure with data discovery, controls to prevent loss, leakage, and exfiltration, and data governance. 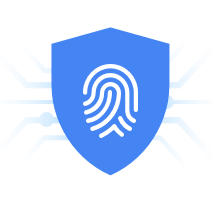 Protect user identities by managing the user lifecycle, authentication and assurance, and managing system and application access. Protect and manage your business applications with application testing, scanning, and API security features. Monitor for malicious activity, handle security incidents, and support operational processes that prevent, detect, and respond to threats. Support governance and compliance processes, including performing assessments, demonstrating compliance, and achieving certifications.